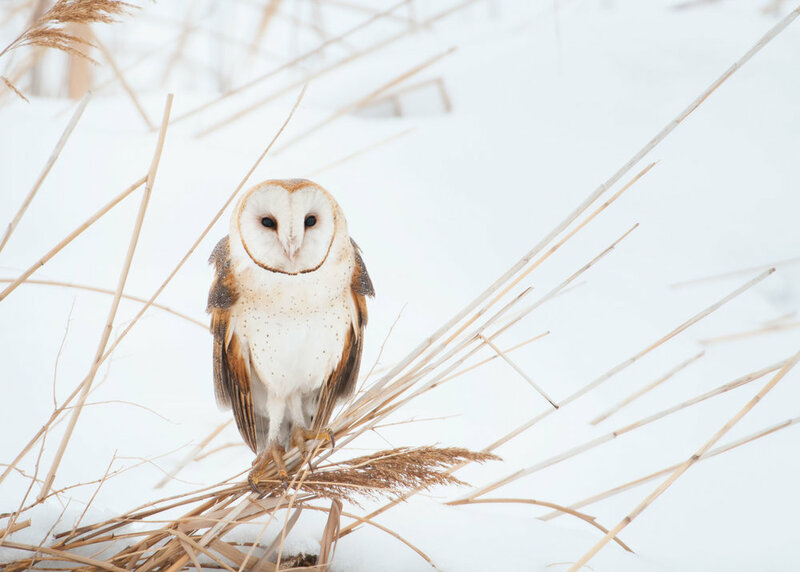 Even around the city of Newport, we have been hearing the calls of owls at night. Snowy Owls have come down from the Arctic Tundra, to places such as Sachuest Point, attracting the attention of many. Owls are just one of the wild creatures that make their homes in trees, and just one of the reasons their preservation is so important. We often advise that homeowners leave their deceased trees for the benefits of wildlife, providing shelter and food and life to so many. 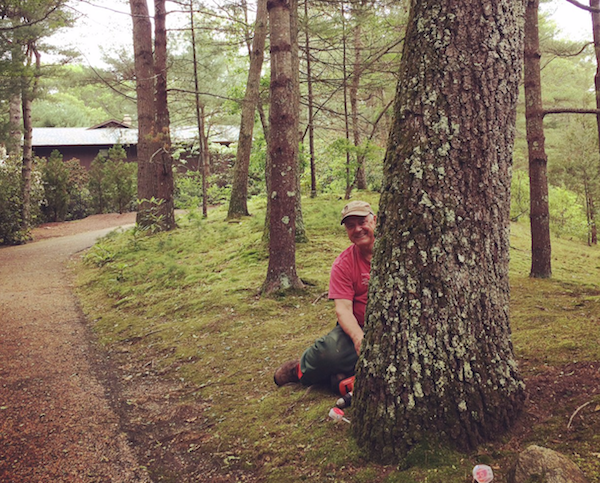 We strive to take care in our tree work, disturbing wildlife as little as possible. We can work with you to create systems for your landscape and environment that are ecologically sound and economically viable. Severe weather can happen any time of year and bring with it strong winds, heavy rain or snow, and flooding to coastal areas. All these things can affect the trees around your home. They can become uprooted, lose a limb, or split. When trees are damaged they can become dangerous to try to remove yourself. The fully-insured and experienced arborists at Largess Forestry have the right equipment to safely clear hazards. We're proud to service Rhode Island, Massachusetts, Connecticut, and the surrounding New England area. When there are no leaves on the tree, we can easily see the structure. This is important in determining if there is any deadwood or hazardous limbs that need to be pruned. Pruning while dormant is also less shocking to the tree. By pruning in the winter, the tree will be healing itself throughout the spring, which is the most ideal time for a tree to heal and seal itself. 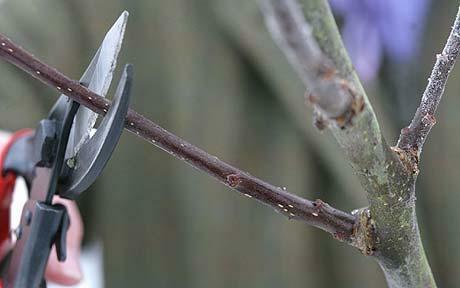 Winter is also an ideal time for pruning because the soil is frozen. Because its frozen, any heavy equipment used will not compact the soil around the trees' roots or damage nearby landscaping. Even though trees are dormant in winter, they can still be damaged by extreme temperatures, wind and salt spray, and over-drying. Extreme cold weather can damage flower buds, crack tree trunks, prevent roots from taking in moisture, and turn evergreen leaves brown. These can be avoided in a number of ways. First, plant cold hardy species. Then, mulch the base of your trees and shrubs. This will provide the plant with a layer of insulation ensuring the ground won't freeze and the roots have access to water year round. Finally, leaves turn brown for a number of reasons. One of the reasons is that the ground is frozen and the roots cannot uptake moisture. When this happens, the plant draws water from the leaves and stems, which causes damage. To avoid this and protect your green assets, we can apply an anti-dessicant spray. The spray helps to prevent the loss of moisture. Another reason leaves turn brown is damage from wind and salt. We can easily solve this problem by fitting them with burlap sacks! Trees limbs need a little extra support from time to time. One reason is that ice and snow can add unexpected weight to limbs during winter storms. Another reason a tree could need support is that it is mature and its limbs can no longer support its weight. Our tree specialists will determine if your tree is in need of extra support and, if so, for how long. The unveiling of Crossman Park in Central Falls is here! Largess Forestry and Voice of the Forest Alliance teamed up with the City of Central Falls, RI to create a healthful green space at the park this past spring. The park was recently renovated to include a walking track, outdoor fitness equipment and a brand new playground. Largess Forestry planted 22 fruit trees and 12 blueberry bushes in the park for anyone in the city to enjoy. This is part of a larger by effort by Mayor Diossa to reforest Central Falls and build a healthier community. Since reforesting cities is a huge part of Largess Forestry and Voice of the Forest's mission, this was a perfect collaboration. We are so thrilled to be a part of this ongoing project. 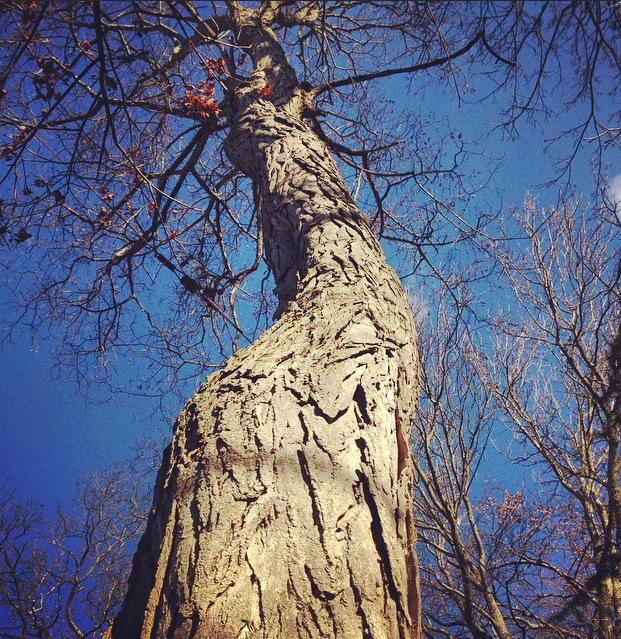 Here are some photos of trees affected with Bot Canker. 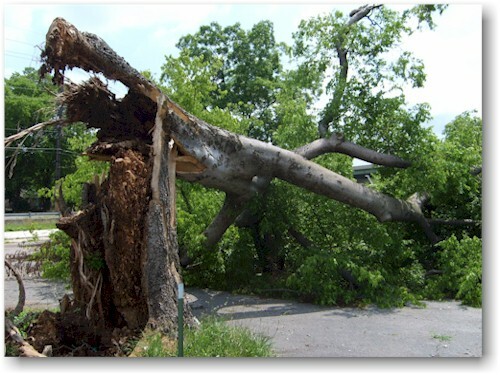 If you suspect that your tree has been impacted, give us a call. We're happy to take a look and care for your trees. 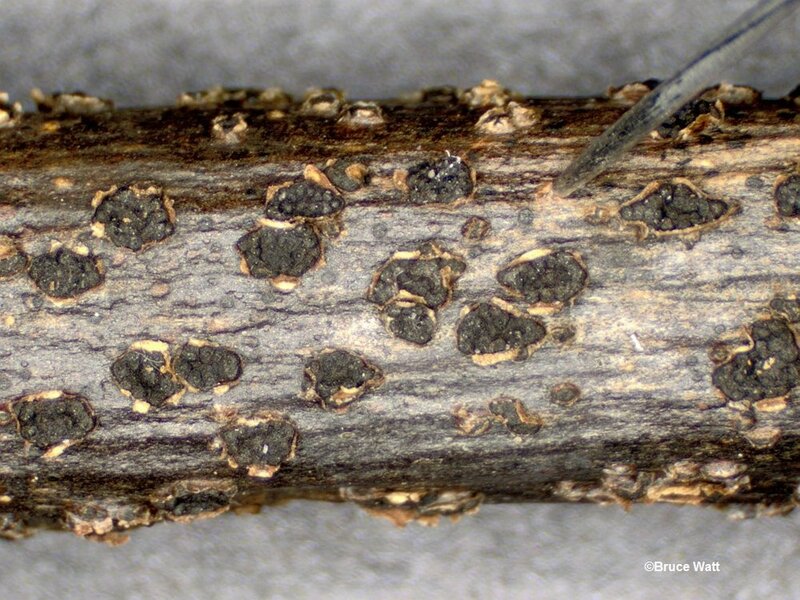 Don't let Gypsy Moths defoliate your trees this spring! Let us help. Be on the lookout for Gypsy Moth caterpillars to emerge soon! Gypsy moth egg clusters of 500 or more can be found attached to host trees during winter. Eggs typically hatch in early May in this area. The caterpillars begin tiny and as their population increases they will disperse themselves in a process called “ballooning” where they hang in the air on long silken threads and wait for winds to carry them to new locations. Gypsy Moth caterpillars are about 1/16 of an inch when they hatch and may exceed 3 inches by the time they pupate, which is about 6 weeks later. They feature spiny hairs along their back. Oak and many other deciduous tree species, including maple, birch, poplar, willow, apple, hawthorn are susceptible to the Gypsy Moth. White oak is preferred. 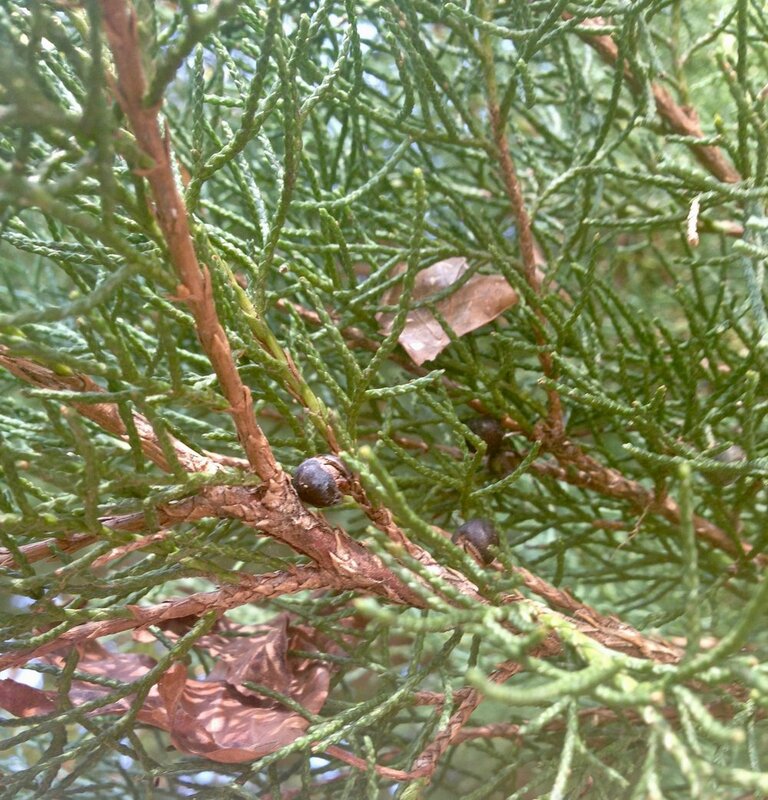 Conifers are sometimes hosts. 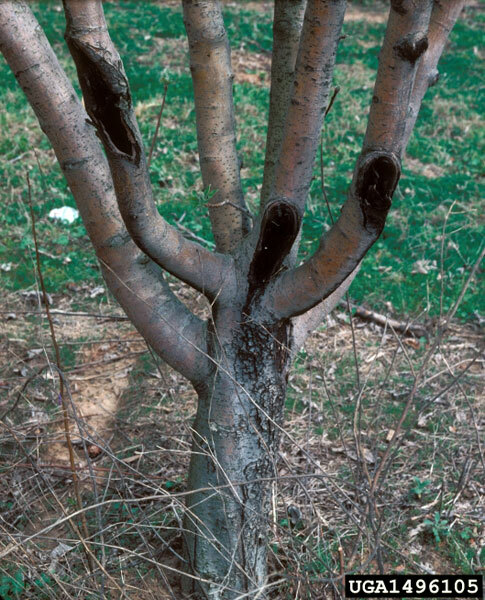 Many healthy trees can survive a year of defoliation, but years of attack can cause serious stress and make trees more vulnerable to secondary pests and fungi. The Gypsy Moth was introduced into the US in Medford, Mass in the late 1860’s. It accidentally escaped from the home of E. Leopold Trouvelot, who was conducting a study on the insect and its silk production potential. Gypsy Moth has spread throughout the Northeast and beyond since then. We have been on the lookout for Gypsy Moth egg masses through the winter, which can be found on tree trunks and often hiding on the undersides of branches. (See top right photo above) Once the eggs hatch, likely in May, spraying will commence. We have already begun to see some eggs hatching in warmer locations. Call us for a free evaluation. We are using environmentally friendly and safe biological control to protect your green assets. Witch hazel (Hamamelis virginiana) is a small deciduous tree or shrub that is native to Atlantic North America, and it is now also cultivated in Europe and Asia. The shrub can reach a height of 15 ft tall. The word "witch" comes from Old English wice meaning "pliant, weak, bendable" from Proto-Indo-European *weyg "to bend, to turn, to yield". 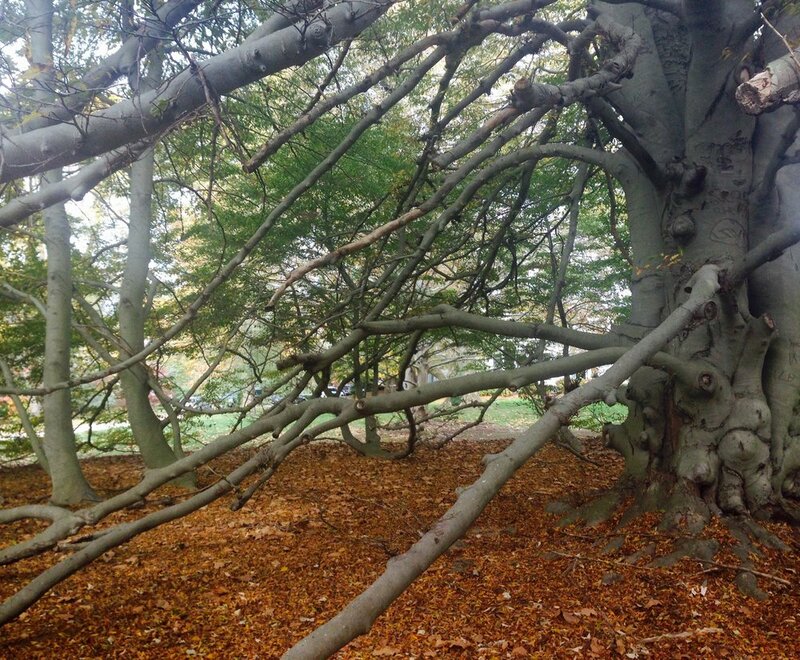 The "hazel" part of the name may have come from the use of witch hazel branches for divining. It is a dweller in the understory forest, and It prefers damp woods and may be found along roadsides near forested areas. The bright yellow blossoms are composed of 1-inch wide flowers and appear spider-like and squiggly. The flowers are fragrant and some cultivars bloom in the fall and some bloom in February, which is quite a site to see in the middle of winter! The leaves are alternate, egg-shaped and oval and are dark green on top and paler underneath with wavy toothed edges and distinct straight veined patterns. Witch hazel has a smooth gray bark. 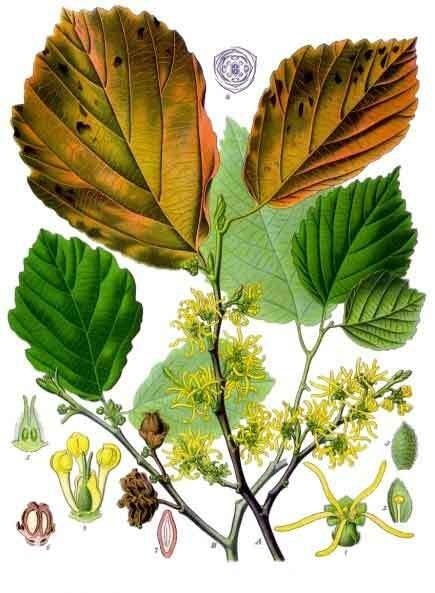 Early European settles observed Native Americans using American witch hazel to find underground sources of water. Because the plant chases water, it finds water; divining rods are usually made from witch hazel. It also considered protective. Witch Hazel can also be used for many medicinal purposes. A medicine can be made from twigs and bark and used for it’s astringent qualities, to soothing scrapes and bruises, and to stop bleeding. A tea can be made and applied as a poultice, the tea is good for burns, insect bites and inflammation. With the coming spring, it is almost time to begin treatment for Winter Moth! Winter moth is a fairly new invasive insect to Rhode Island. 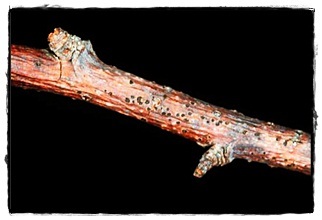 The larvae stage will eat the young leaves of trees as the leaves are emerging from the buds in spring, causing defoliation and possible tree death. Many deciduous plants are hosts for the winter moth including oak, beech, maple, basswood, white elm, crab apple, apple, blueberry, and cherry. It is important to treat for the pest early as the damage is done while the buds are breaking. In the spring, you may see the tiny green larvae of the insect and the moths will emerge in late fall. Oil treatment should begin in the very late winter/early spring, when temperatures are above 45° F.
Winter Moths were originally introduced to North America from Europe in Nova Scotia sometime prior to 1950. They exist throughout Europe, but they are not a problem there because of the robust community of predators and parasites that keep them check. However, this is not the case in North America and Southern New England. Treatment for Winter Moth will begin in the late winter or early spring, depending upon temperatures. (Very soon!) Contact us for a free evaluation and to get on our pest treatment list. We are using environmentally friendly and safe biological control to protect your green assets! Today marks Jane Miner's 40th anniversary at the URI Graduate Institute of Oceanography, where she currently serves as their business manager! Largess Forestry stopped into the Dean's Office with a victory cake to celebrate her hard work and dedication over the four decades. Her father, Dr. Miner, founded the famed RI environmental group Save The Bay in 1970. Jane is a Jamestown native, a lover of birds and the ocean, an a real environmentalist and unsung hero! We are grateful to know her and to have worked on her property for so many years, preserving trees and habitat on the east side of Jamestown, overlooking the beautiful Narraganset Bay. Largess Forestry has now deemed February 1, as Jane Miner day, because of her great dedication and hard work. 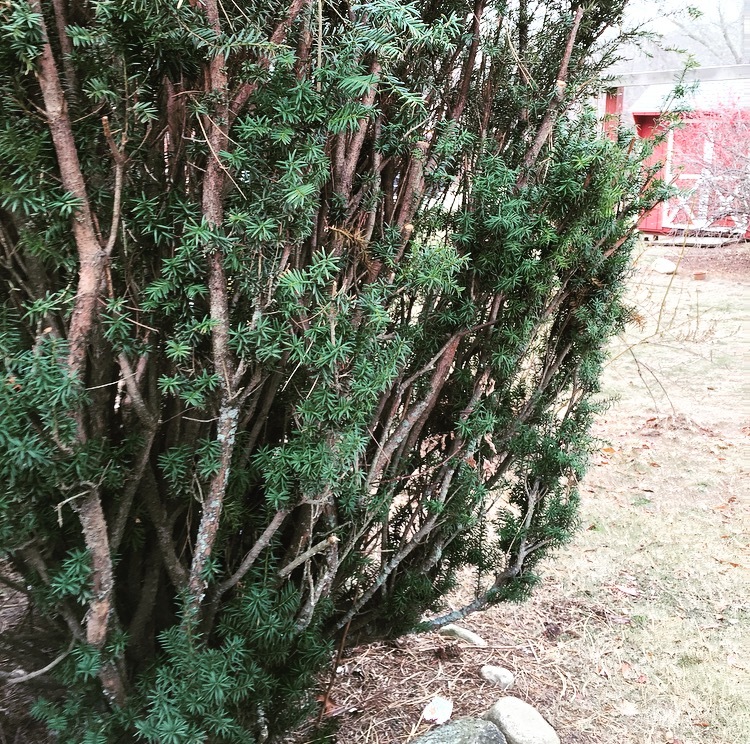 Celebrating the Solstice with Yew! The Winter Solstice is marked by the shortest day and the longest night. It is celebrated throughout the world as the return of the light and the rebirth of the sun. “Solstice” comes from two Latin words: sol meaning “sun” and sister meaning “to stand still” because it appeared as though the sun and moon had stopped moving across the sky. An evergreen conifer native to the UK, Europe and North Africa. The Yew tree can reach up to 400-600 years of age. 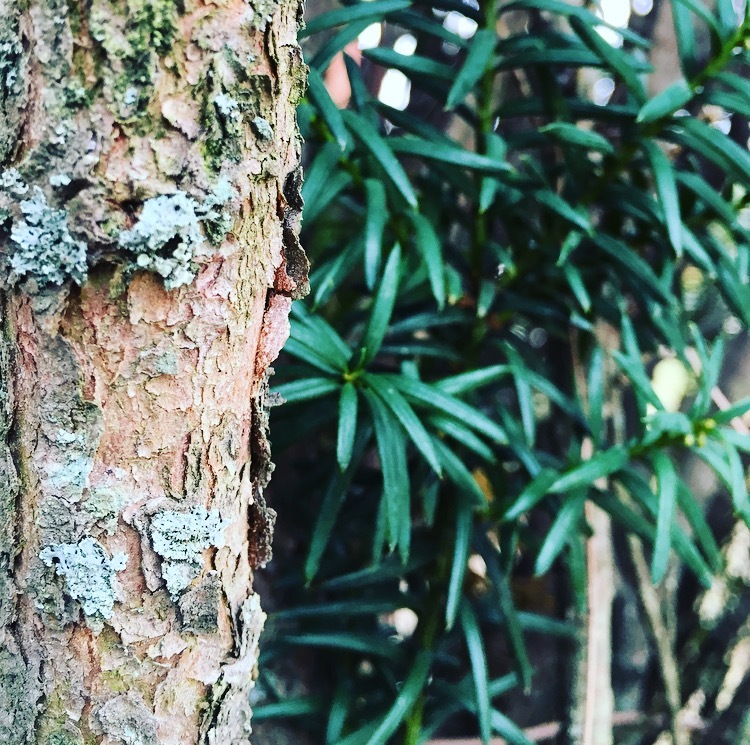 The bark is reddish brown and peely and the leaves of the yew are straight small needles that grow in two rows on either side of each twig. Unlike most conifers, the yew does not bear seeds in a cone, rather each seed is enclosed in a red, flashy berry-like structure. The yew is probably the most long lived tree in Northern Europe. In early Germanic culture, the yew was the Tree of Rebirth and worshiped on the Winter Solstice, December 21st, connected with the time when the mythical solar hero was ‘reborn’ from the womb of the underworld and the annual cycle of rebirth and death recommenced.The Celtic calendar connects the yew with the festival of Samhain, when the gates between the world of the living and the world of the dead were said to be open. The ancient Greeks, too, saw the yew as a gate to the underworld, and hence a guardian of the soul. 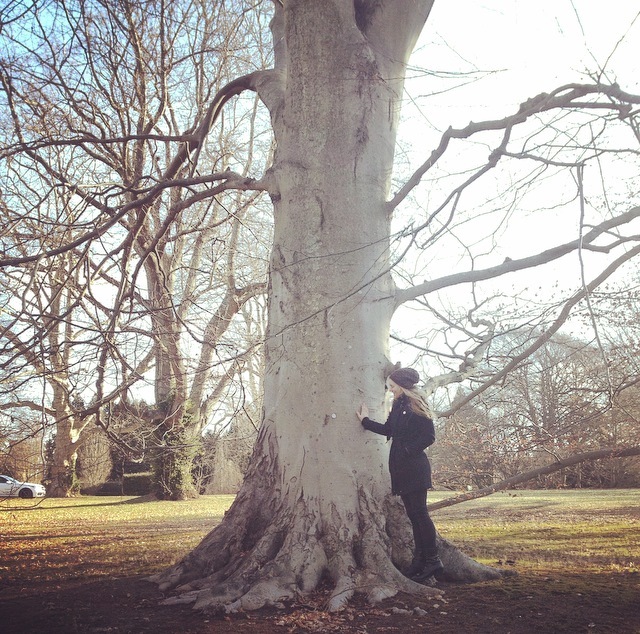 Largess Foestry recently completed an 'Arboretum Inventory' report for Newport, RI resident Angus Davis. Davis' property consists of a private residential arboretum containing 28 species of trees and woody shrubs from 16 families. The majority of the trees are quite notable and of European or Asian origin and are commonly found in English Gardens. The more mature trees were likely planted after the house was built in 1854. Some of the notable trees include a fernleaf European Beech (fagus sylvatica "Asplenifolia'), American Hornbeam (Carpinus caroliniana), Drooping Juniper (Juniperus recurva), and a Purpleleaf cherry plum (Prunus cerasifera). This private arboretum has one of the largest collections of Turkey Oaks (Quercus laevis) in North America. 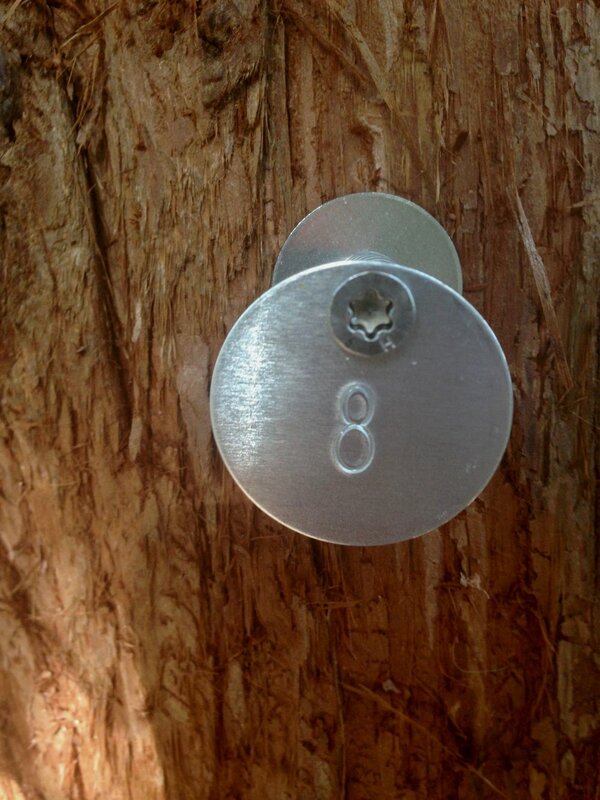 All significant trees on the property were inventoried and an aluminum number tag was installed to identify each tree in the private arboretum. 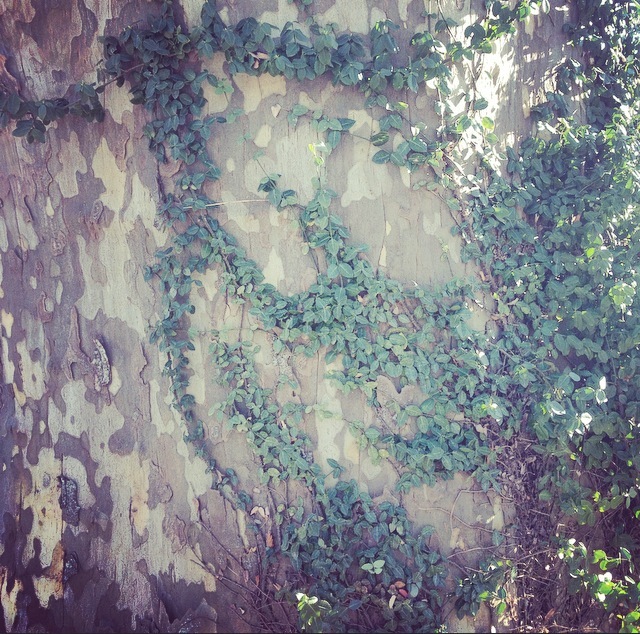 Once a tag was installed, the trees' species and cultivar, and dimensions were measured and recorded. After dimensions were taken, the trees were inspected for health and defects, and lastly a geospatial reference point was taken with a GPS unit. The addition of the tree tags and the inventory was foundational to making this private residence an official historical arboretum, adding to the many beautiful tree landscapes of Newport's Guilded Age Forest. A special thanks to Peter Largess and Fern Graves for spearheading and completing this project. Pete Largess grew up climbing trees and is a master of arboriculture. Fern also brings a wealth of expertise with a Bachelor's degree in Forestry and a Master's degree in Entomology. We are grateful they are a part of the Largess Forestry Team. Photos of this private arboretum are below, click on the photos for a detailed description. Please contact us if you would like to work with us on unique projects and custom reports for your home and your landscape. Check out our custom reports page for more information. "From historic Gilded Age landscapes still in cultivation today, to handwritten records of colonial-era hothouses that help specimens from all over the globe, Newport, Rhode Island is truly a living museum of American horticulture and landscape architecture. From its earliest days, Newport was a city of tree collectors and amateur botanists who reveled in the exploration of the planted world. 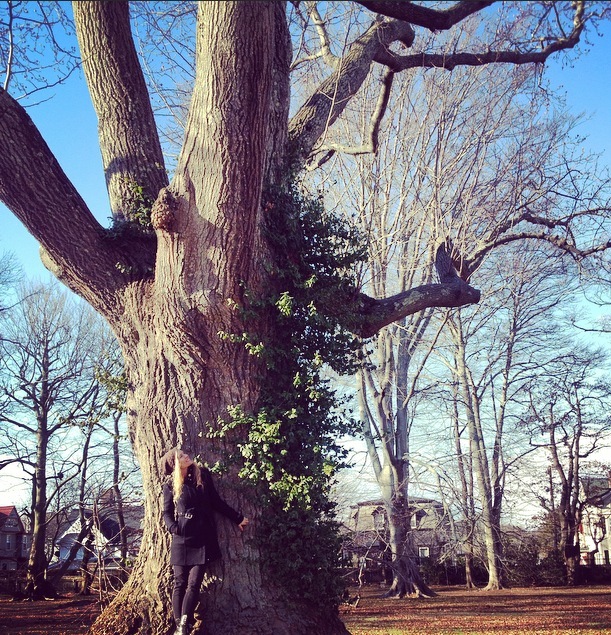 In fact, at the turn of the last century, Newport's collection of rare specimen trees was purported to rival that of Boston's Arnold Arboretum." Twig Largess is quite busy traveling through the Southeast, taking inventory and tree surveys of the recent damage from Hurricaine Matthew. 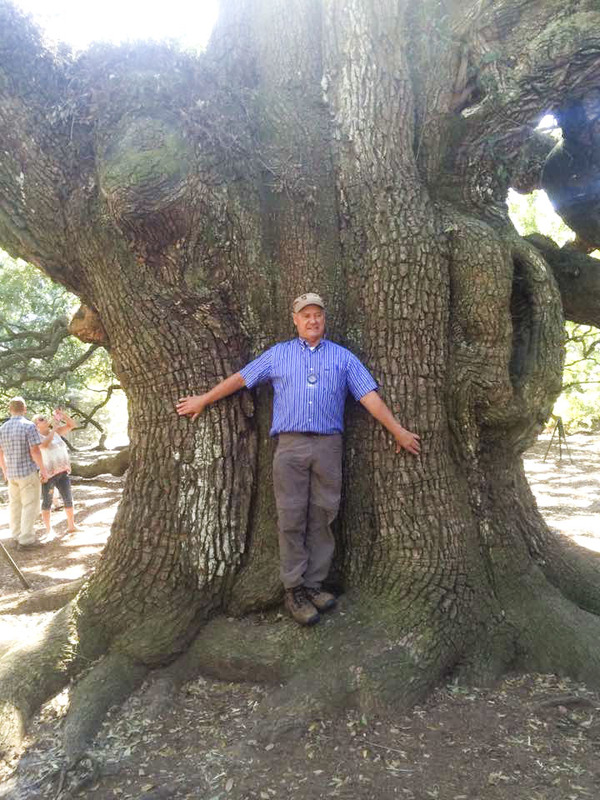 While in South Carolina he had the chance to stop and visit the Sacred Angel Oak in Charleston. This oak is estimated to be over 500 years old with ancient outstretched boughs and a canopy extending nearly 2000 square yards. This fairytale-esque tree is a live oak, which are known for their majestic canopies rather than their stature. This Southern live oak has survived a number of hurricanes, floods, earthquakes and human interference. 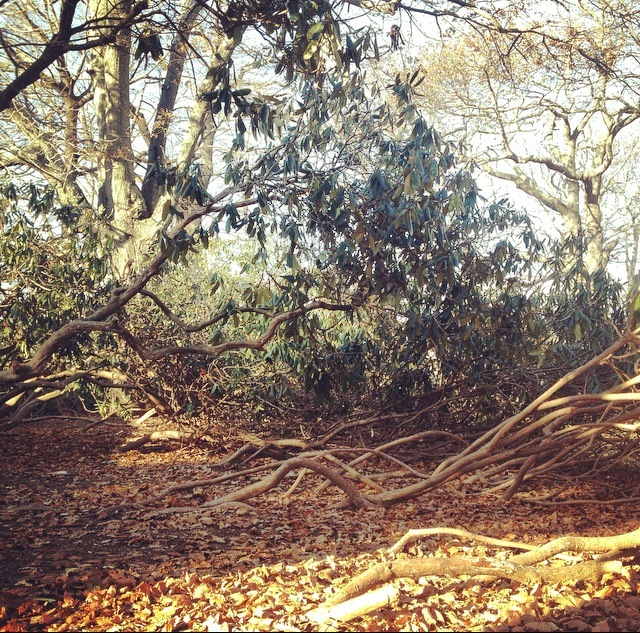 It continues to grow, as branches reach in every direction with some plunging underground and back up again. It is a powerful force to behold! 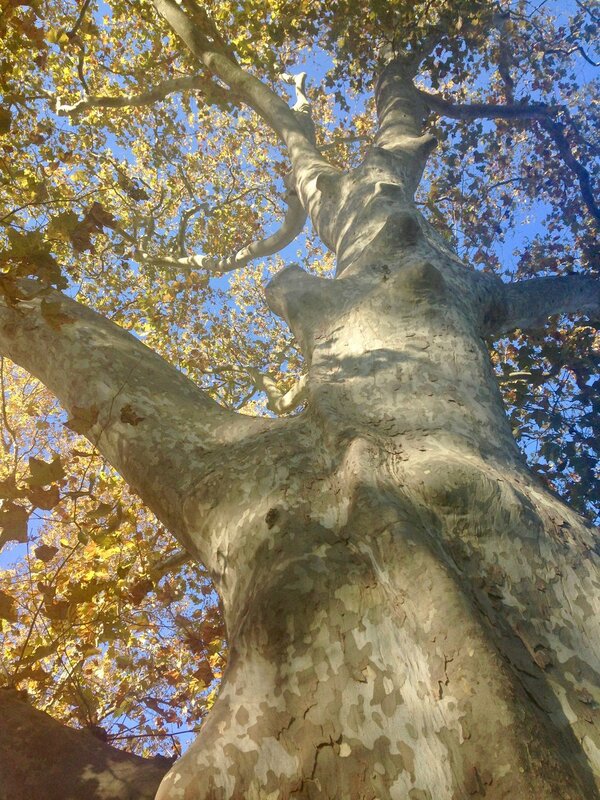 The tree’s allure is both natural and cultural. The name angel was given to the tree not because of it’s mystical quality, but because the land which it sits was last owned by Martha and Justus Angel. The owners of the estate were African American slave owners, and it is said that the ghosts of these former slaves appeared around the tree as angels. If you are in the Charleston, SC area, this enchanting tree is a must see! Autumn Olive is a deciduous shrub that grows wild throughout the US. The young twigs of the shrub are silver with brownish scales. The leaves are elliptical and silvery green with small red fruit that arrive in autumn. Autumn olive will always have alternate leaves and tiny glistening scales on twigs, fruit and underside of leaves. The edible red berries are sweet and tart and packed with nutrients, containing more lycopene than tomatoes! Autumn Berries are revered as powerful medicine in Asia. Native to the mountains in Eastern Asia, the autumn olive has been cultivated for it’s positive characteristics and is still utilized in the diets of Koreans, Chinese, and Japanese in tea, wine, jam, and traditional medicine. Multiflora Rose was introduced to the US from Japan in 1886. It is an exotic invasive perennial shrub that can grow up to 10-15 feet or more. The red fruits appear in August are small and plentiful. The fruits persist during the winter months as clusters of round 1/4 inch hips. It grows on a mass of thorny viney stalks, and can be found along stream banks, pastures, roadsides, savannas, forest edges and open woodlands. Rose hips have so many nutritional benefits. Rose hips and leaves are rich in vitamin c, the hips containing high amounts of carotene and fatty acids. Roses are being studied as a food that reduces certain types of cancer. Common preparations include jelly, jam and syrup. We flew out of Providence, RI to Tampa, FL on Wednesday Feb. 24th. Thursday morning we awoke to cool weather in the 40's, which is cool weather for central Florida, and headed to Clearwater Beach to adjust to our new environment and plan our upcoming search. Grace was photographing seabirds and seashells, she is an amazing photographer, extremely intelligent, and an expert birder. The Twig's return to Florida was emotional and full of gratitude. Later that afternoon Twig and Sunshine headed inland to Winter Haven, FL as their base camp, arriving late at night on the 25th. Friday morning the 26th, Twig and Sunshine headed to Green Swamp Wilderness in Polk County in search of the Ivory Billed Woodpecker. This forest had a population of Ivory Billed up until the 1930s before they were shot and collected as the virgin forest was logged. The gate at the front entrance was locked so we ended up hiking in the southern part of the trac to get a feel of the environment. The forest had a Cypress stand but it was too small for the Ivory Billed and it wasn't a very good habitat for existing birds. It is a beautiful area. We were both amazed at central Florida's beautiful scenery and gorgeous lakes. We also cited Sandhill Cranes and heard the cry of many red shouldered hawks. We then headed south to Frostproof, FL to the Arbuckle Lake Wilderness. We went south on rt. 27 and ended up going through a 50,000 acre orange grove, towards the Arbuckle Lake. We ended up interviewing locals of the bird, any sightings of the bird and ended up on a campground on the Arbuckle creek that was full of backwoods hunters and fisherman that knew a lot about the region. I hired a backwoods guy named David and his boat for the next day. He's a retired Green Beret and his flat bottom guide boat was perfect for our upcoming search. Saturday the 27th we awoke to temperatures in the mid-30's, extremely cold weather for this region. We met our guide David and headed south down Arbuckle Creek. It was like a trip back into Jurassic Park - the forest was the greatest old growth i had ever seen - I was shocked and amazed - thousand year old cypress trees, teeming with all kinds of life. The boat was great for birding - a lot of room and chairs for all of us. David had some great tales about his years in the military, a veteran of many wars in the back line. He was a character out of war movie, and had the weapons and know how to prove it. The creek has extensive old growth forest on either side, and is connected to 160,000 acres, next to a military bombing range and a high security prison. Most locals in Florida didn't even know of the area. The lake has very few houses on it and the creek is wilderness beyond belief. Here it was where Gracie saw 'the bird' coming from the bow of the boat. It had strong wing beats, it was black and white, it cut through the forest along the side of the boat and did a bank turn and flew about 15 feet above the stern of the boat. I got a great clear view of the bird. It was black with a lot of white, but no red at all on the crest. After the sighting I interviewed David and was amazed that he said he saw the top hat, which ivory billed experts know as the crest, and it was black. the bird was only 10 inches long and looked very young. I'm glad Gracie was there, because she was so cool and collected, and kept everything in perspective. This sighting was unexpected and a moment I will never forget. Was this a juvenile Ivory Billed Woodpecker? We are now working with Ornithologists with descriptions of this sighting to rule out any other possibility of another. But twig, sunshine and Rambo, all have agreed that the bird was a woodpecker, black and white with no red, had strong direct flight and was something that none of us had ever seen in the wild. If this sighting is of a young ivory billed, it means that there is a viable population. We spent the rest of the day on the river into the late night, it got so dark you couldn't spot your hand in front of your face. David had a headlamp and saved the day. This was one of the greatest days of my life. I was sad and it was hard to leave this holy forest. Grace was such a great partner and team member on this trip. to me it was ivory billed that we saw, to her it could have been anything, and she wants to further investigate. On the 28th, the temperatures were in the 40's and we headed back to hike in the Wales Ridge State Forest, which connects to Arbuckle wilderness. It stands at 80ft elevation, one of the high spots of southern Florida. This pine forest reminded me of the pitch pine barrens in Cape Cod. It is very closely connected to the bottomland of Arbuckle creek. the original forest of Florida had more ivory billed than any other place on earth, and this region had the greatest population at one time. this rare woodpecker species, the largest in North America, exclusively nested in old growth bald cypress swamp trees and fed in the pine forest during the day. This habitat is unchanged for generations. Sunday afternoon we went back to the area of the sighting and spent hours waiting for the bird's possible return. The Twig ventured off the boat to the swamp forest towards cypress trees, which had a giant nest hole, 2/3 up the canopy. It was near the area the bird emerged from. This has to be one of the oldest cypress trees in the world. This tree surely predates any non-Indigenous people on the continent. This area is now top-secret scientific search study area. Had a meeting with Rambo and his troops, and they are not only arming themselves with weapons but also now with cameras. I predict the rediscover of the ivory billed in this region and feel that this area needs to be studied further in the upcoming days and weeks ahead. That night, Rambo had given us all headlamps, and we headed down the creek I could not believe how many green spider eyes there were, red eyes of the alligator, white eyes of the wild boards and white tailed deer. Ancient forests have so much more light than logged areas do. Twig and Sunshine had strong emotions of leaving the area. This trip was life changing and spiritual. Trees are cool and so are all of you. Ivory Billed Woodpeckers forever.